South Hampstead is a vibrant, growing Jewish modern orthodox community in metropolitan London with a reputation for warmth, humour, informality, innovation and a non-judgemental approach. It is under the aegis of the United Synagogue, which is the largest synagogal organisation in the United Kingdom. South Hampstead currently has a membership of approximately 750 families. Its membership is diverse both in terms of age, background and degree of religious commitment. The original members of the synagogue were German-Jewish refugees who settled in the Hampstead area. The current building was completed in 1964. Rabbi Shlomo and Rebbetzin Lynndy Levin and their family have provided rabbinic leadership to the community since 1984. 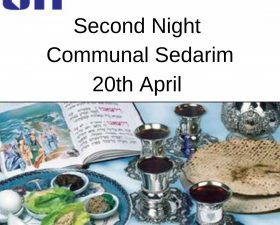 Since then South Hampstead has been amongst the fastest growing inner-London synagogues. The synagogue’s facilities have been expanded several times to accommodate the growing numbers. In response to the dynamic growth of the community and its diverse needs the expanded Rabbinic team currently comprises Senior Rabbi and Rebbetzin Rabbi – Shlomo and Rebbetzin Lynndy Levin, Associate Rabbi and Rebbetzin – Rabbi Eli and Rebbetzin Lauren Levin and Associate Rabbi and Rebbetzin – Rabbi Shlomo and Rebbetzin Bonnie Odze. Being situated where it is, South Hampstead is host to Jewish professionals and academics of note who choose to spend their sabbatical in the area, which is close to the majority of London’s university colleges and medical institutions. Students visit from abroad for study purposes and guests touring London drop in and enhance the interest and buzz of the community. Synagogue members’ groups are comprised of children 0 – 4, children 5 – 11, youth, young adults, families and singles and the mature years. South Hampstead has a reputation for warmth, humour, informality and a non-judgmental approach. The least and most committed sit comfortably side by side and the community enjoys an atmosphere of unusual harmony. There are a large number of births, bar and bat mitzvot and marriages celebrated within the community each year; and also as with any mature community care and concern for crisis and end of life issues. Youth and family programmes abound often drawing on the amazing amount of talent amongst our members. The community hosts many Israel focused groups and has an active Israel fund which supports lesser known smaller charitable projects. 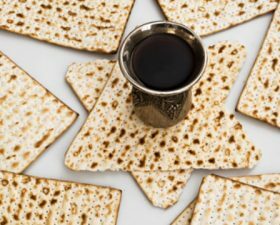 Scholars of note, educators and speakers of interest from within the community draw large crowds and are often centred around a ‘Nosh and Drosh’ Shabbat Kiddush, or a Shabbat meal. The synagogue supports an Arts Club Club for seniors, and at the other end of the spectrum a day-care nursery for infants. Hospitality at homes of members is offered each Shabbat for both visitors and members of the community. All hospitality hosts are kashrut and Shabbat observant.